Now, before we begin, I have a confession to make. The Three Doctors is and will forever be my favourite Doctor Who story. Period. It was the first classic Doctor Who story that I, a child of The Wilderness Years, ever saw and owned on DVD and by golly it was a good first choice. It has been watched at least twice a year since 2005, including as a prequel to my friends and I watching The Day of the Doctor, the 50th Anniversary episode back in those heady days of late 2013. There are plenty of things which make this story great, and if I were to list them all I would be here until Christopher Eccleston returns to the series. Seeing as it is New Beginnings week here on the DWC, I’m going to be very brief and focus on the story’s impact on Doctor Who and how the show has come to celebrate important milestones all the way up to the present day. This is, after all, the very first multi-Doctor tale. Right, are we all ready? Do you have your recorder with you? Marvellous. Then let’s begin. 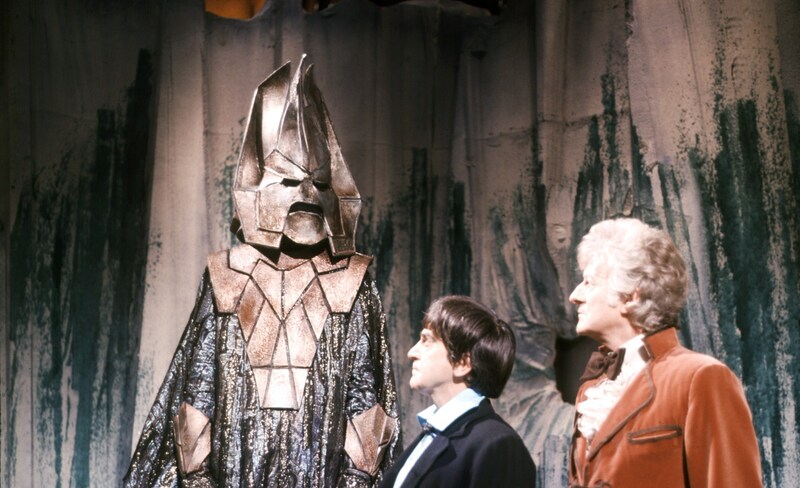 The Three Doctors practically bounded onto television screens on 30th December 1972 and ran until 20th January 1973. 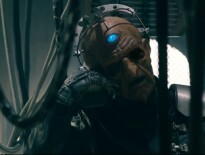 The story marked the beginning of Season Ten of Doctor Who, a series that would bring about a great number of changes for the Doctor; a character who at this point had already spent a few years of his life exiled on 20th Century Earth, a quiet if not entirely uninteresting change to his usual jaunts through time and space. By the end of this anniversary special, the Doctor was once again able to use his TARDIS, to take himself, along with the audience, to far off worlds where bigger, brighter and more bonkers adventures waited around every corner. And by the end of the series, the Doctor had waved a sad goodbye to the sprightly Jo Grant and was looking ahead to what the universe had waiting for him. 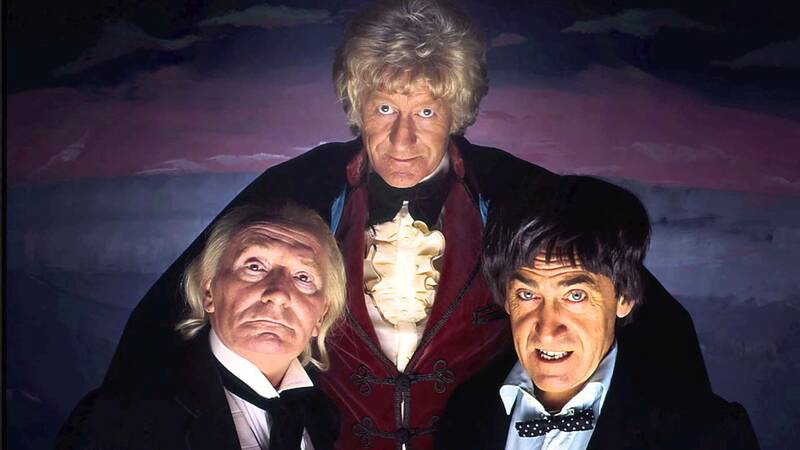 For me, The Three Doctors marks a turning point in Doctor Who where everything changed and marked the beginning of the end for Jon Pertwee’s era. But let’s not get caught up in all that sad business; The Three Doctors certainly doesn’t. For the beginning of this season, the special occasion necessitated something worthy of an anniversary and also something wanted by the fans for a long time. The natural choice was to bring back the former Doctors and have a good old romp through time and space. A format that the show would return to and expand upon as Doctor Who crashed into the 21st Century. It is the inclusion of all three leading actors, and especially the chemistry between Jon and Patrick, that makes this story so watchable and certainly allows it to stand out from some of the other multi-Doctor stories that followed. As we all know, this serial is also momentous for being William Hartnell’s final performance in the show. Yes, it can be seen as an end, but I like to look at it as a passing of the baton with our first Doctor giving his consent to keep on travelling. Both Barry Letts and Terrance Dicks assure us in DVD extras and interviews that he was fully aware of what he was doing and was delighted to be asked back for the celebratory episodes. Despite the fact that his participation is limited to a short clip of him walking around a beautiful garden and the rest of his time spent in a glass pyramid, his appearance certainly adds to the sense of legacy that the programme had already built by 1973. His time on screen is not just used to fill time. He certainly isn’t a passive bystander in the course of the story. 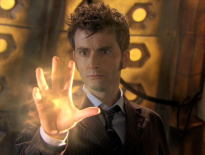 He actively participates in their contact sessions, gives them the push to explore the anomaly, and advocates his future selves’ actions to the Time Lords later in the story. He is also very adept at putting 2 and 3 in their places. ‘So you’re my replacements. A dandy and a clown.’ Hartnell is still this enigmatic old man we first met in a junk yard and the authority he wields is truly a wonder to behold. Whilst his part was limited, the feel of the whole story and the celebration that it commemorates definitely benefits from his inclusion. 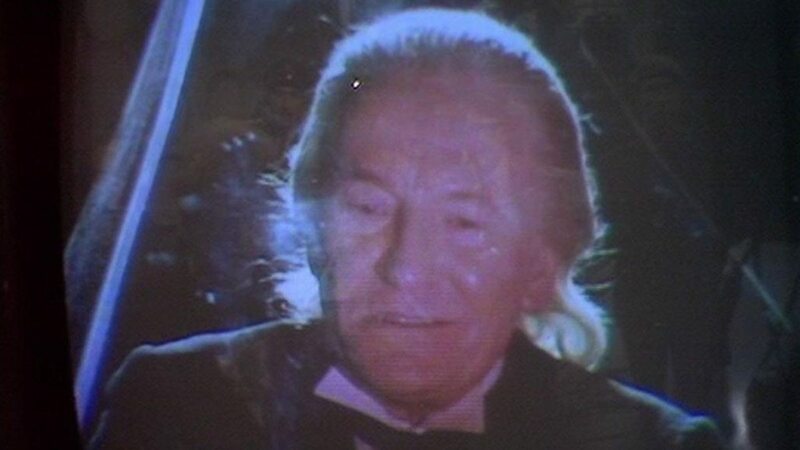 Plus, it’s always nice to see William Hartnell in colour. I can assure you that casually dropping that into conversation is much more difficult than it appears. In The Three Doctors, we are given Patrick Troughton’s first return to the role after leaving the series and his performance is as dominant as ever, sharing the stage perfectly with Pertwee and carrying the plot along in their own ways. The interaction between Pertwee and Troughton is, I believe, Doctor Who at its finest. The time they spend together on screen is enough to build a solid working partnership to come together and defeat their shared foe. Later classic multi-Doctor stories only see their respective Doctors meet up in the closing scenes as in The Five Doctors or in the final episode for The Two Doctors. Whilst both are also great stories, they lack the interaction and the camaraderie set down as precedent that makes The Three Doctors so enjoyable. Thankfully, The Day of the Doctor learnt from this and involved much more time with the Doctors working together. This allows for a spark-like chemistry and builds a basis for all those japes and comments bandied between Doctors throughout the series. The rapport between Doctors 2 and 3 is one of jovial mockery. Their sly digs at one another hit their mark and neither man lets the other get away with it without riposte – a characteristic that Troughton and Pertwee famously reproduced at conventions (as you can see above). The Three Doctors acts as both a celebration of the past and the beginning of a long tradition of bringing back past Doctors to help tackle the most dangerous enemies that the universe can throw at them. These multi-Doctor episodes are always looked forward to with great anticipation and remembered fondly (apart from Dimensions in Time… but we don’t talk about that one now do we?). All have contributed to making the wonderful world of Doctor Who that little bit stranger, but it all began here with The Three Doctors. Now, if you don’t mind, I’m off to watch it again. What are your thoughts on The Three Doctors? How did it affect the show as a whole? ← Big Finish’s March Madness Sale!